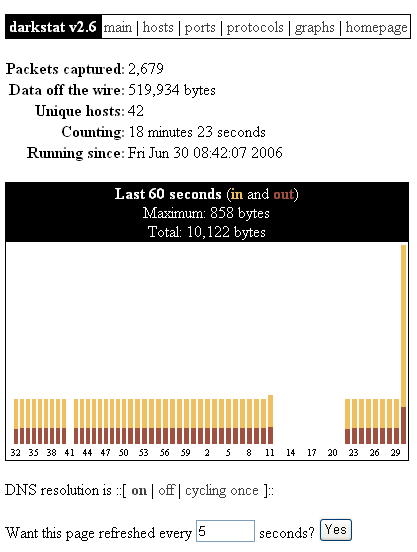 Darkstat is a network statistics gatherer.Effectively, it's a packet sniffer which runs as a background process on a cable/DSL router, gathers all sorts of useless but interesting statistics,and serves them over HTTP. Hosts screen you can see all the machines which take part in the communication. These can be arranged by the caused traffic or their particular IP address. Protocols Screen protocols ICMP,TCP,IGP and UDP for the file transmission, which were involved in the communication event. 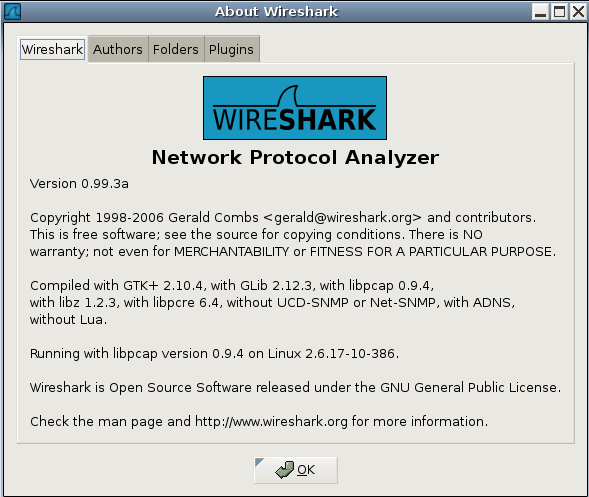 Wireshark® is used by network professionals around the world for troubleshooting, analysis, software and protocol development, and education. It has all of the standard features you would expect in a protocol analyzer, and several features not seen in any other product. 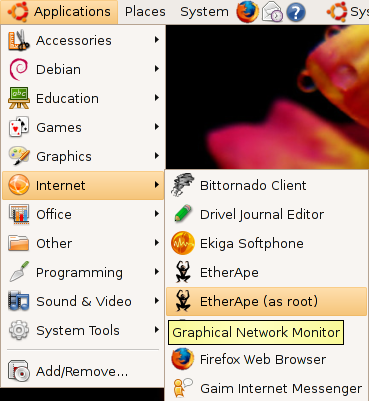 Its open source license allows talented experts in the networking community to add enhancements. 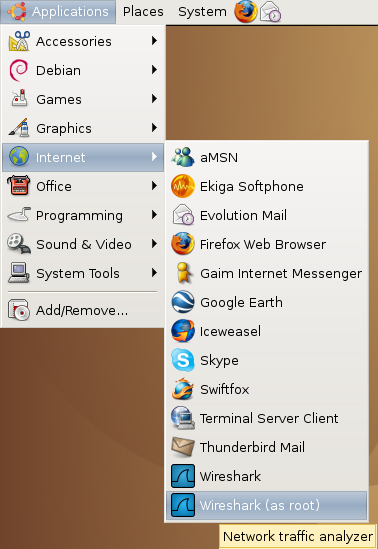 It runs on all popular computing platforms, including Unix, Linux, and Windows. 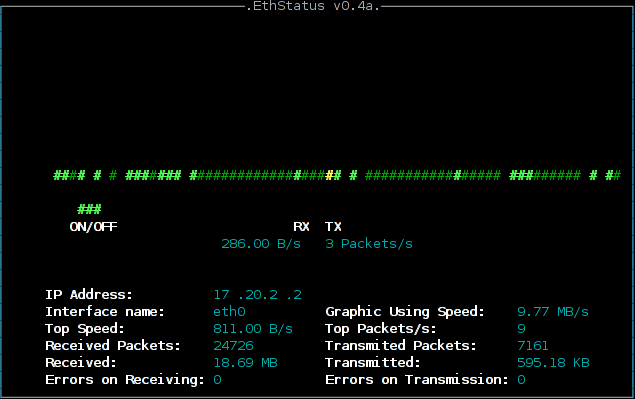 Console-based ethernet statistics monitor.Ethstatus is a console-based monitoring utility for displaying statistical data of the ethernet interface on a quantity basis. 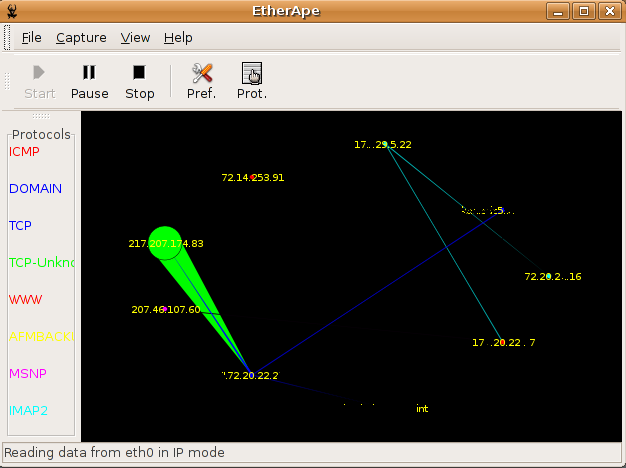 It is similar to iptraf but is meant to run as a permanent console task to monitor the network load. 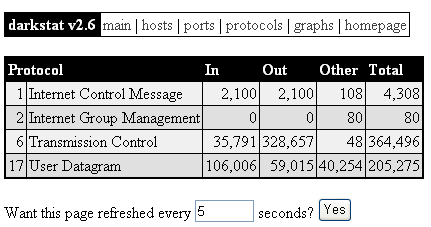 IP Flow Monitor.This is a console utility which will listen on an interface using libpcap, aggregate the traffic into flows and display the top (as many as can fit on your screen) flows with their average throughput. 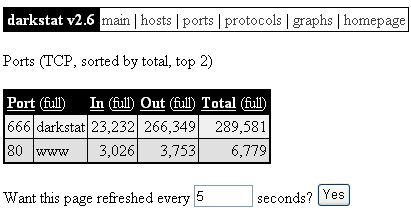 A flow is identified ip protocol, source ip, source port, destination ip, destination port, and type of service flag. Got to Synaptic Package managers settings and enable all the repositories. I’ve just tried to apt-get it and it’s there. But when I open firefox and go to http://localhost:666, I get a failed to connect error. Suggestions? 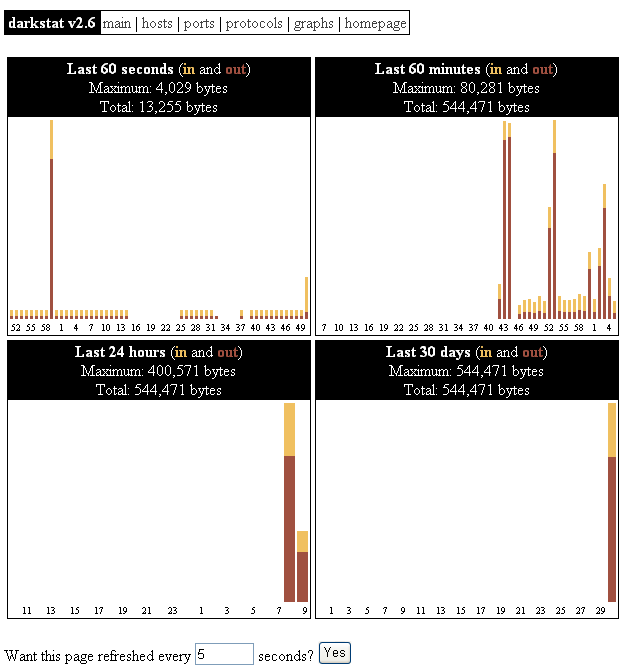 But I don’t find a running process, and neither does the web interface seem to be listening on 666..
but i don’t see any graph to appear. how to add host or any ip? does it auto configuration? 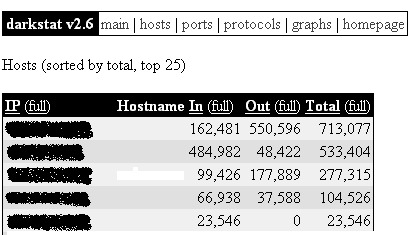 sweet, changing the port (in the browser) from 666 to 667 and VOILA! I can see the stats!